Over the last 4 seasons, Monaco have significantly cut back on the frivolous spending that saw them thrust into the limelight upon regaining promotion to Ligue 1 in 2013. Financial Fair Play regulations and poor revenue streams have forced Monaco to adopt a more sustainable approach to competing both domestically and in Europe. Leonardo Jardim’s free-flowing Ligue 1 2016/17 title-winning Monaco side captured the imagination and won hearts across the footballing world. Domestically, they showed the finger to PSG and in the same season, there was thrill laden run to the semi-finals of the Champions League where they encountered another of Europe’s elite money teams, Manchester City. They also showed Guardiola’s side the finger, knocking them out of that season’s competition. That season provided a reward that few could have imagined happening once the riches of Qatar came flooding into Paris and Monaco had ceased their elaborate spending. It was a testament to the coaching ability of Jardim and the recruitment skills of the sporting director at the time, Luis Campos. Key members of the 2016/17 title-winning squad were recruited after the sale or departure of players such as James Rodriguez, Yannick Carrasco, Geoffrey Kondogbia, Anthony Martial, Layvin Kurzawa and Dimitar Berbatov. 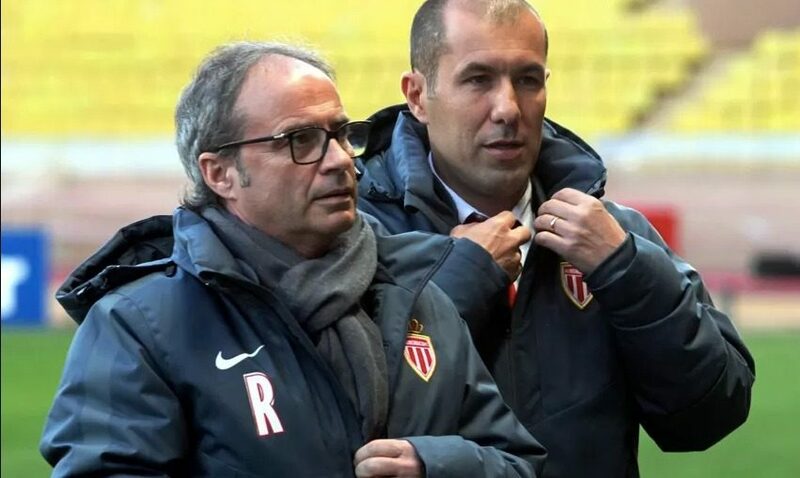 Jardim however, retained a spine of experienced players in Subasic, Moutinho and Falcao (once he returned to the Stade Louis II after a 2-year loan stint in the Premier League) to build his young side around. This collection of players was put together for just over the amount of money received from the James Rodriguez transfer to Real Madrid. 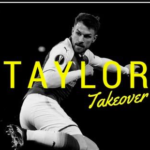 Monaco have a conveyor belt system in place where their best players are sold, and new younger players are bought in with an aim to sell on for a massive profit after a couple of seasons. Excelling against and beating an elite money club can massively aide the selling process. PSG took Kylian Mbappe and Manchester City took Benjamin Mendy and Bernardo Silva off Monaco’s hands for a combined cost of around £250 million. The following summer Monaco lost 6 members of that title-winning squad: Kylian Mbappe, Benjamin Mendy, Bernardo Silva, Tiemoue Bakayoko, Abdou Diallo & Valere Germain. Could you imagine if the Dortmund title winning of 2010/11 sold Hummels, Kagawa, Gotze, Barrios and Lewandowski along with the already departed Sahin in the summer window of the 2011/12 season? Although they didn’t manage to win the league, what if the exciting Tottenham side of 2016 sold Kane, Alli, Rose, Dier, Eriksen and Vertonghen? Do you think they would have managed to finish in the top 4 again? Would Leicester have gone down after winning the league if they had sold Mahrez, Vardy, Shinji Okazaki & Christian Fuchs alongside Kante and Drinkwater? The fact that Monaco, after a shaky start to the season, still managed to finish second in the Ligue 1 after losing that volume of key players all whilst figuring out a system to best suit the new players at their disposal, is extremely impressive. After the high of that 2016/17 title, Luis Campos parted company with Monaco. In November of 2017, they very astutely replaced him with the man responsible for bringing so much talent to Chelsea, Michael Emenalo.Emenalo is tasked with adding more talent to the roster that was left by Campos and building a new squad that could potentially match that of 2016/17. In addition to the likes of Rony Lopes, Jordi Mboula, Jordy Gaspar, Almamy Toure, Jorge, Youri Tielemans and Keita Balde. There is an exciting couple of years ahead for Monaco. They have so much talent eager to express themselves and a Head Coach in Jardim who knows exactly how to get the best out of these players and give them the blank canvas on which they can create their own artistic footballing vision. For those who aren’t ready for the first team straight away. In Michael Emenalo they have a technical director who will ensure they get a loan to the right club to ensure they come back first team ready. From relegation to marquee signings, to THAT 2016/17 side. Monaco now have a blueprint for success that many should look to follow. Who do you think out of this next cycle of players at Monaco will go on to the top of the game?